Just in time for spring Nuba's catering department has added something new to the menu. 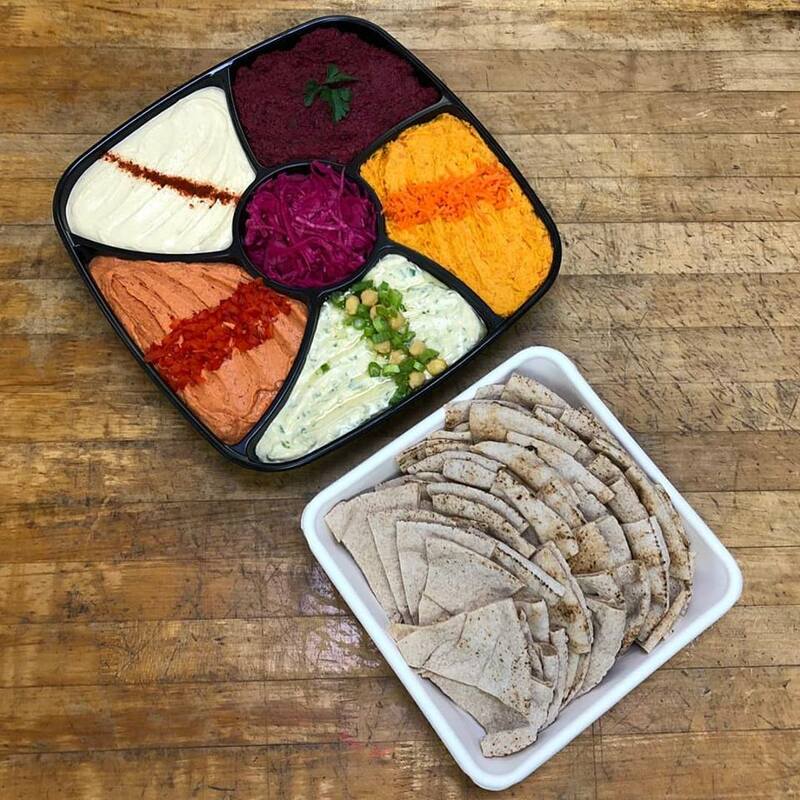 Our rainbow hummus platter includes includes five types of hummus: traditional, roasted beet, roasted carrot, roasted red pepper, and green onion. It also comes with pickled cabbage and pita.